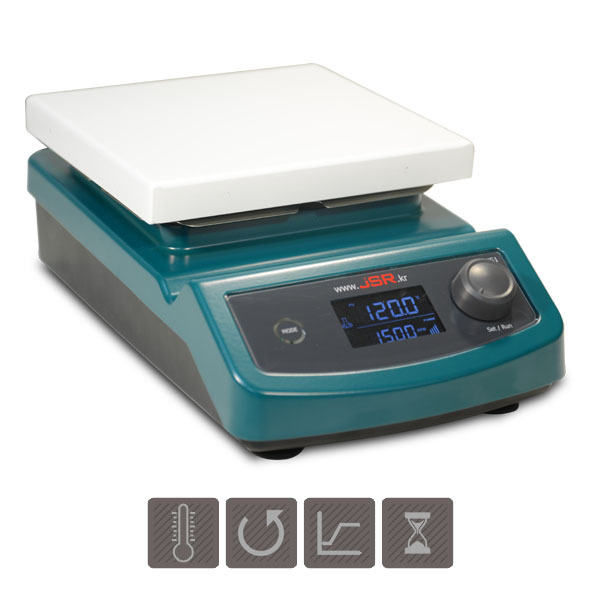 JSHS-18D Digital hotplate Stirrer utilize the most advanced Digital Fuzzy Control technology of temperature, stirring speed and time. Control temperature range max. 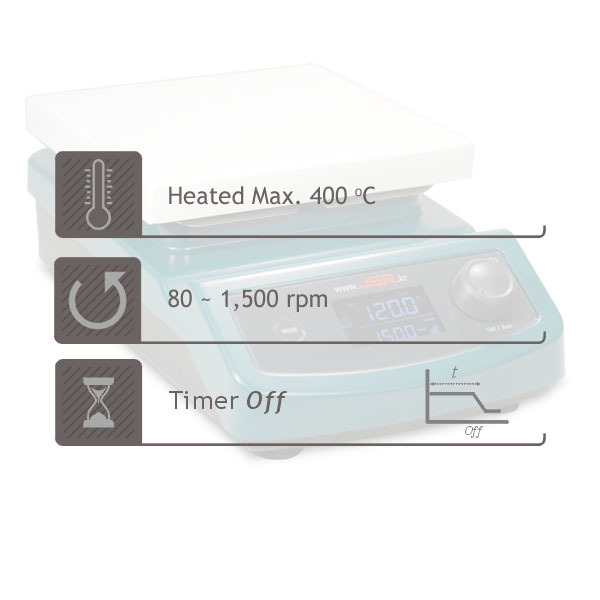 400 °C in 0.1 °C display resolution, stirring speed range from 80 to 1,500 rpm, timer set to 99 hr 59 min. Durable and rugged aluminum casting body and chemical resistant ceramic coated top plate. 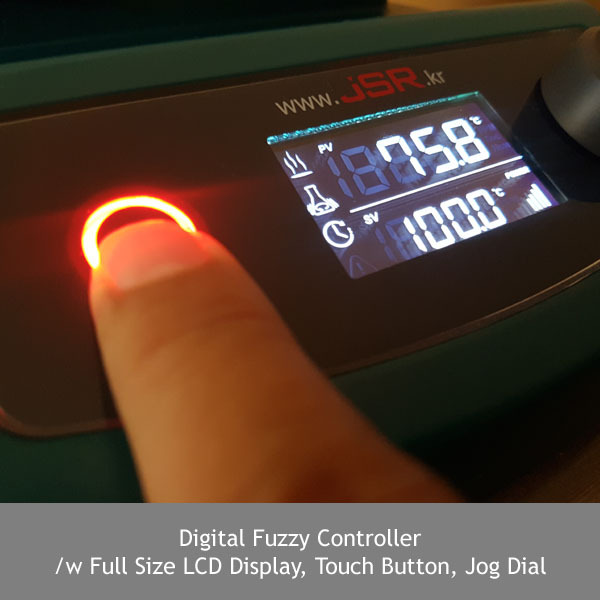 Advanced microprocessor Digital Fuzzy Controller with Touch button and Jog Dial. Touch-sensitive Multi-Functional Capacitive Button compatible to all kind of latex gloves as well as finger touch. 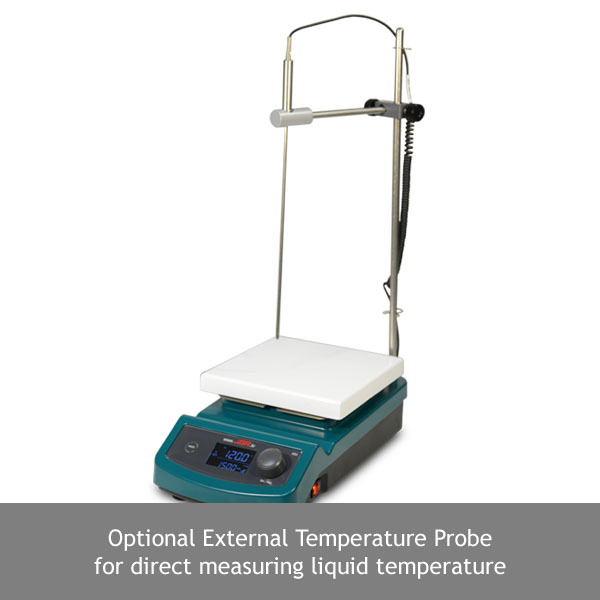 Easy-to-use Jog Dial for quick and convenient setting of temperature and stirring speed. Push to Run and Stop control. High-fidelity clear back light LCD displays complete setting and operating condition at a glance. Easy to monitoring set values, present temperature, speed and time. 180 x 180 mm sized durable, chemical and scratch resistant ceramic coated aluminum top plate. Low profile and spill trough design of main body provide safe use and channels spills away from electronics and controls to protect unit.